The children of the National Centre for Cerebral Palsy and Other Development Disorders (NCCCPDD), celebrated World Cerebral Palsy Day on the 6th of October, in harmony with many other events, worldwide. 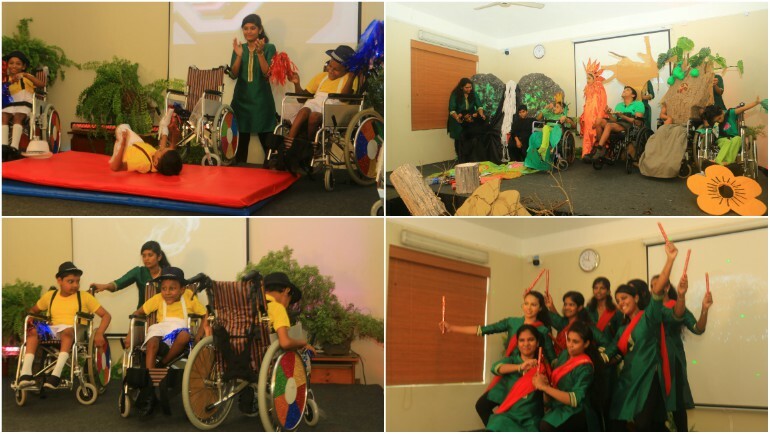 The event, inspired by Nature and so themed, featured a wide variety of presentations, ranging from Wheel Chair dance, Drama compositions to Wheel Chair stunts, all performed by the students, themselves. The event was an expression of inherent skills and a display of potential. The performance enabled the audience to share the joy and the confidence of the children, derived from their own achievement. 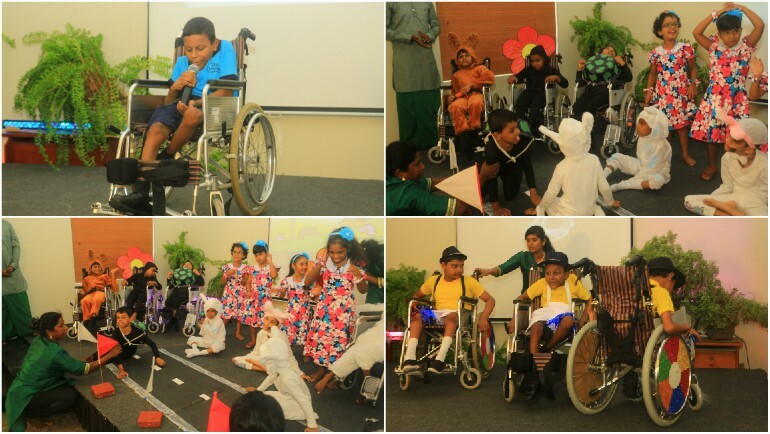 Established by the MJF Charitable Foundation, in collaboration with the Cerebral Palsy Foundation of Sri Lanka, the NCCCPDD in October 2016. 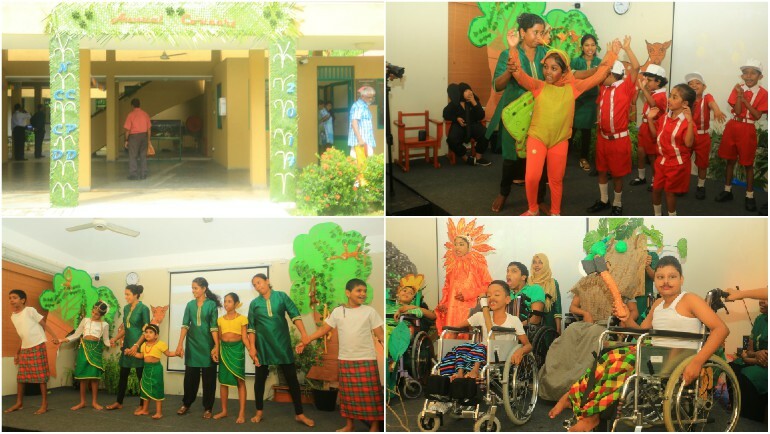 This organization is the first, and only professional facility in Sri Lanka, catering to children with CP. Sri Lanka has approximately 40,000 People with Cerebral Palsy. The exact number of which are children are unknown. Whilst therapeutic interventions are freely accessible in the US, Western Europe and Australia, the relevant specialized care, rehabilitation and therapies are still not readily available in Sri Lanka. Society’s general lack of awareness of the nature of CP, DS and associated disabilities and how to support families with affected children has resulted in social stigma being attached and isolation. , What is most important is to recognize the needs of families of those affected, and to provide them with special education through training resources and counselling to enable families to take care of their own. The recognition of this vacuum in professional caring prompted Dilmah to spearhead this national cause through its philanthropic arm- the MJF Charitable Foundation. Early intervention is vital to the grooming and fostering of the inherent intelligence of those affected with Cerebral Palsy, Down syndrome and Autism and also empowering them to lead more fulfilling lives. The MJF centres in Moratuwa and the NCCCPDD in Rajagiriya, are state of the art institutions located on the outskirts of Colombo. They provide supportive programmes in occupational therapy, physiotherapy, behavioural therapy and hydrotherapy, for over 250 children daily the Centres also facilitates education, therapy and training for afflicted individuals, as well as for their caregivers, teachers, trainers and health professionals who work with special needs individuals.